There are many registries that offer hunt tests and titling opportunities. The title/test requirements depend on the registry and the testing level. In the Puget Sound area, the 3 registries most commonly offering hunt tests are the AKC, the CKC and UKC (HRC). Hunt tests are meant to simulate realistic hunting scenarios; as such, handlers may be expected to sit on buckets or work out of a boat or a blind. At upper levels, dogs may be required to sit remotely from their handler. In UKC/HRC, guns are fired and duck calls are used at the line (handlers are usually required to use a duck call to start the series). It is a good idea to expect and train for these scenarios rather than be surprised by them. Hunt tests are a means to partner with one’s dog and evaluate their skills – remember to exhibit good sportsmanship and have fun! • Two single marks on water (should not generally exceed 100 yards). • Two single marks on land (should not generally exceed 100 yards). • Dogs can be restrained gently with a slip cord looped through the flat buckle collar or held gently by the flat buckle collar until sent to retrieve. • Dogs must deliver the birds to hand. JH Title Requirements: A dog must pass 4 AKC Junior Level Hunt tests. • Two single marks on water (maximum 80 yards). • Two single marks on land (maximum 80 yards). • Dogs can be restrained gently with a slip cord or flat buckle collar until sent to retrieve. If a dog is restrained by the collar, the collar must be removed before the dog is sent to retrieve. • The judges may require the handler to carry an empty shotgun or replica, but may do so only once. The handler need not shoulder the shotgun. JH Title Requirements: A dog must pass 3 CKC Junior Level Hunt tests. • Two single marks on water (Maximum 60 yards each). • Two single marks on land (Maximum 75 yards each). • A shotgun will be fired (poppers) from the line, either by the handler or by a designated gunner if the handler is restraining the dog. • The hunting retriever is not required to be steady and may be hand held (by a collar or leash) at the retrieving line. If the hunting retriever is hand held, the handler will not handle the shotgun. The handler may request the gunner to move a distance away to avoid scaring an inexperienced dog. • The bird must be delivered to the immediate area of the handler. It is not necessary to deliver to hand. The judges should define ‘immediate area’ of each specific test. SHR Title Requirements: Five (5) championship points per UKC licensed hunt are awarded for each pass at the Started level; 20 points/4 passes are required to earn the SHR title. Points/passes earned in a higher category do not count towards this title. A maximum of ten (10) championship points can be earned in the Started category towards a higher degree. 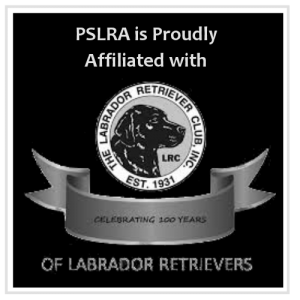 Once points are earned in a higher category, the retriever may not return to Started and earn the SHR title. 3. One double land mark (a double mark is defined as two marks presented before the dog is sent to retrieve). 4. One double water mark. • Marks should not generally exceed 100 yards. • Blinds shall not be run between marks. • One diversion shot shall be used; diversion birds may be used. • A dog shall be required to honor a working dog at least once. • Dogs must be steady (they may not wear collars and may not be restrained) on the line; one controlled break is permitted but will result in a relatively lower score. • Dogs must retrieve to hand. • Handlers shall always carry and shoulder an empty shotgun except when honoring the working dog or when running a blind. The gun shall not be used as a pointing device to direct the dog’s attention to the bird. SH title requirements: A dog must pass either 5 AKC Senior level hunt tests OR pass 4 AKC Senior level hunt test if a dog already acquired a JH title. • One land blind (no longer than 80 yards and as open as possible). • One water blind (no longer than 80 yards and as open as possible). • One double land mark (maximum of 80 yards for each mark). • One double water mark (maximum of 80 yards for each mark). • An upland hunting test. The dog shall be required to locate birds as in typical upland hunting and within gun range of the handler. The dog may be urged to hunt or handled to maintain his range and position. One (1) to three (3) birds must be placed in cover within the test area. When located, the birds must be retrieved by the dog to the handler. Dead birds shall be used. • There shall be no walk-up. • A diversion shot(s) shall be used; diversion birds shall not be used. • The judges shall require the handler to shoulder or carry an empty shotgun or replica on at least 2 occasions, but a minimum of 3 occasions is recommended. SH title requirements: A dog must pass either 5 CKC Senior level hunt tests OR pass 4 CKC Senior level hunt test if a dog already acquired a JH title. 1. A double-marked land retrieve. 2. A double-marked water retrieve. 4. A blind land retrieve. 5. A blind water retrieve. • Part of the test must include a diversion. 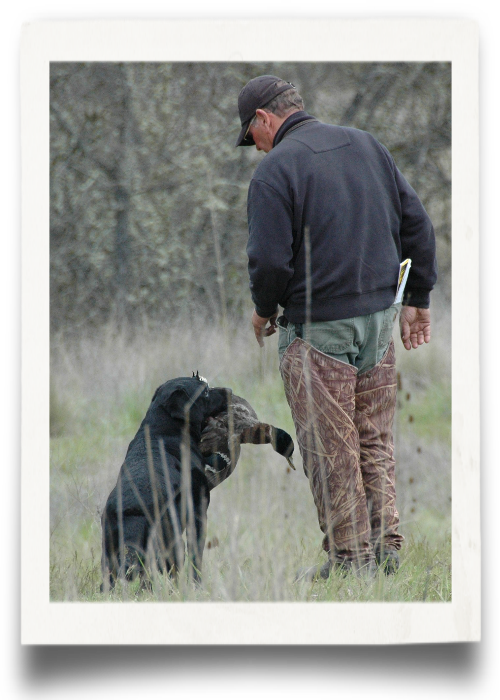 A diversionary bird can be thrown after the walk-up, blind, or last retrieve of a double mark. • If an Upland game test is to be run, this option must be announced on the club’s premium. • The maximum land test distance will not exceed one hundred (100) yards but may be shorter. The maximum water test distance will not exceed seventy-five (75) yards but may be shorter. The land blind retrieve maximum test distance will not exceed sixty (60) yards but may be shorter. The water blind retrieve maximum test distance will not exceed sixty (60) yards but may be shorter. • The dog is required to be steady at the retrieving line. At the line, the dog may be touched to steady, but when the handler signals “ready” the dog should not be touched again. The handler may speak softly to the dog. A controlled break is permitted but will result in a relatively lower score. • A dry shot popper shall be fired by the handler in the direction of the blind while the dog is at heel immediately prior to the dog’s running the blind retrieve. The intent is to encourage the dog to run the blind. • During test simulations, when directed by the judges, the handler must shoulder the shotgun, aim, track and shoot (poppers) at the top of the arc of the thrown bird. HR title requirements: The dog must earn 40 championship points. Each Seasoned pass is worth 10 points. Points can be earned in Started, Seasoned or Finished. Dogs are not required to earn points in Started and/or Seasoned to earn this title. If only 5 points are earned in the Started category, then 40 points may be earned in the Seasoned and/or Finished categories. If 10 points are earned in the Started category, then 30 points may be earned in the Seasoned and/or Finished category. 5. A water blind (at least one that shall be a double blind in any combination). • There shall be at least three series. • At least one of the series shall include a walk-up. • Diversion birds and/or diversion shots must be used at least once. • In Master tests, in at least two multiple marking situations the dog’s marking/memory will be tested with at least (3) falls before the dog is sent to retrieve. The (3) falls must be presented before a dog is sent to retrieve any mark or blind. • A Master Hunting dog shall honor and at least one opportunity to honor must be provided. • A Master Hunting dog must be steady and must deliver to hand. A controlled break in Master must be scored “0” in Trainability. Dogs shall be brought to the line and taken from the line off-leash and without collars while they are under judgment. MH title requirements: A dog must pass either 6 AKC Master level hunt tests OR pass 5 AKC Master level hunt test if a dog already acquired a SH title. Master Hunter Lifetime Achievement Title: A dog that has passed the Master Hunter test twelve or more times is eligible to be awarded a Master Hunter Lifetime Achievement Title. The title is designated by the letters MH followed by a number indicating the number of times the dog has passed the MH test. The title is awarded at the request of the owner. • The word multiple means more than one, although triple marks are encouraged. • There shall be at least 3 series. • Diversion shots and diversion birds shall be used at least once. • Poison Birds may be used. • A Master Hunt dog must honor and at least one opportunity to honor must be provided. • No retrieve should normally exceed 100 yards and under no circumstance shall exceed 125 yards. • Dogs must be steady and must deliver to hand; a controlled break in Master must be scored “0” in trainability, except in an upland test. Dogs shall be brought to the line and taken from the line off-leash and without collars while they are under judgment. • On the Upland Test, the dog must be steady to shot. MH title requirements: A dog must pass either 6 CKC Master level hunt tests OR pass 5 CKC Master level hunt test if a dog already acquired a SH title. Grand Master Hunter (GMH) title requirements: 1. Must have acquired a MH title and (in addition) 2. 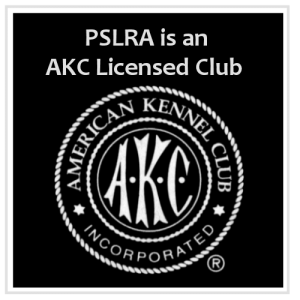 Earn qualifying scores in 10 CKC approved Owner Handler Master, Master Hunter Tests or National Master Hunt Tests. 4. A land blind retrieve. These blinds may or may not be included in one of the required multiple marked retrieves. • Part of the test must include a diversion as the dog returns to the retrieving line from any retrieve. • At the option of the judges, the hunt may include an Upland game test. If an Upland game test is to be run, this option must be announced in the club’s premium. • The maximum land test distance will not exceed 150 yards but may be shorter. The maximum water test distance will not exceed 125 yards but may be shorter. The blind retrieve maximum test distance will not exceed 100 yards. • The Finished hunting retriever is required to be steady at the retrieving line. At the retrieving line the dog may be touched to steady, but when the handler signals “ready”, it may not be touched again. The handler may talk softly to the dog. The Finished retriever may be failed for a “controlled break” and may be failed for excessive, consistent creeping. • The bird must be delivered to hand. • Testing will consist of double or triple marks for both water and land. At the judges’ discretion, the Finished hunting retriever may be required to make retrieves in an established sequence. • During test simulations, when directed by the judges, the handler must shoulder the shotgun, aim, track and shoot (poppers) at the top of the arc of the thrown bird. Mishandling of firearms will result in immediate disqualification of both handler and hunting retriever. HRCH title requirements: The Hunting Retriever Champion (HRCH) title is attained by earning 100 championship points. Sixty (60) of the 100 points must be earned from the Finished category. Points can be earned in Started, Seasoned, or Finished. Dogs are not required to earn points in Started and/or Seasoned to earn this title. A maximum of 40 points can be earned in the Seasoned category towards the Hunting Retriever Champion (HRCH) title. But, if 10 Started championship points were earned, then a maximum of 30 Seasoned championship points can be earned and combined with 10 Started championship points toward the HRCH title. Eligibility: To qualify for the Master National event, a dog (with the exception below) must have a total of 6 qualifications each year in the Master category from a MN member club(s). In addition, every dog running in the MN event must also have an MH title from the AKC. 1. Exceptions to the above: Contestants who enter exclusively in Alaska must obtain qualifying scores in a minimum of four Master tests held by member clubs and have an MH title. 2. Dogs, domiciled in Canada, running exclusively in CKC Master Hunt Test events, that passed the most recent CKC Canadian Master National Hunt Test prior to the July 31st MNRC qualifying end date. 3. Any dog that ran and qualified at the previous year's Master National event needs only 4 qualifications during the next year to qualify. Any dog that has earned the MNH title is exempt from having to re-qualify. Time Frame: Qualifying scores for the upcoming Master National event are counted from August 1st of the year before the event through July 31st of the year of the event. Master National Hunter Title (MNH): In order to be recorded as a Master National Hunter, a dog must have passed the Master National Hunting Test three times. Dogs passing the Master National Hunting Test more than three times will have this accomplishment recorded by a numeric designation behind the title. 1. Any dog with a CKC Master Hunter title who has successfully completed 2 CKC Master Hunter passes at Hunt Tests hosted by clubs in good standing of the Canadian National Master Retriever Club, during the period from the closing date of the previous National Master Hunt Test Stake to the closing date of the upcoming National Master Hunt Test Stake. 2. Any dog with an AKC Master Hunter title who has successfully completed 2 CKC Master Hunter passes at Hunt Tests hosted by clubs in good standing of the Canadian National Master Retriever Club, during the period from the closing date of the previous National Master Hunt Test Stake to the closing date of the upcoming National Master Hunt Test Stake. 3. Any dog with a CKC Grand Master Hunter title. 4. Any dog that qualified in the most recent National Master Hunt Test Stake. 5. Any dog that qualified in the most recent AKC Master National Hunt Test. National Master Hunter Title (NMH): In order to be recorded as a National Master Hunter, the dog must have qualified at a National Master Hunt Test stake. Eligibility: This hunt test is for Hunting Retriever Champions (HRCH). It duplicates actual hunting conditions found throughout the country. The successful completion of two of these Grand tests valued at 40 points each (80 points) along with an accumulation of 120 additional points after earning the Hunting Retriever Champion Title for a total of 300 points, will qualify a Hunting Retriever Champion for the UKC title of Grand Hunting Retriever Champion (GRHRCH). Additional points may be earned by passing either Upland tests with a maximum of 40 points allowed toward your Grand title, or by continuing to obtain points by running additional Finished tests. This title is evidence that the hunting retriever has demonstrated versatility and excellence in performing under hunting conditions, ranging from various waterfowl environments found in coastal marshes, inland waterways, flood timber, or western prairies, to Upland game conditions while hunting Upland birds such as pheasant, grouse, chukar, or doves. The Grand hunting retriever is expected to be steady, be under control at all times and demonstrate an eager and prompt response to all commands with style and precision. The Grand Hunting Retriever Champion should represent the best of the breed. 1. The Upland game test shall consist of a simulated walk-up hunt, a quartering test, and an optional tracking test. The Upland hunting dog must be steady to wing and shot. Honoring of another dog is required. During this test the dog will be required to locate and retrieve game, as the judges shall direct. 2. Quartering. The dog hunts in a radius ideally 10 to 30 yards to the front of the handler. Each Upland gun dog must be presented with a minimum of two (2) birds to “flush” in the quartering test. • The Upland hunting dog is expected to flush the bird. After the flush is made the dog should come to a stop on its own or on the command of the handler. It is not necessary for the dog to sit, but it should come to a stop within a reasonable distance after the flush to allow the handler and gunners a clean and safe shot. • In all cases, a natural flush is preferred to the use of traps, pens, cages, or other devices designed to contain and then release birds during the quartering. The Upland Hunter (UH) title is attained by earning 40 Upland Hunter championship points. Upland points count toward the Upland Hunter (UH) title and HRC’s point club recognition programs but only a maximum of 40 points earned count toward the Grand Hunting Retriever Champion Title. In scoring a dog’s abilities in a Test, the Judges must assign a numerical score from “0” to “10” that reflects their estimation of each ability that they have seen demonstrated. In order to receive a Qualifying score in Junior Retriever Hunting Tests, a dog must acquire a minimum average of not less than five (5) in each of the abilities listed on the Evaluation Form, with an overall average score for the entire test of not less than seven (7). In order to receive a Qualifying score in Senior and Master Retriever Hunting Tests, not only must a dog receive an overall average of not less than seven (7.0) for the entire test, but it must also receive separate, independent average scores of not less than five (5.0) in each ability category related to Marking, as well as separate, independent average scores of not less than five (5.0) in each ability category related to Blinds. If, at any time during testing, a dog is graded zero (0) by two Judges for the same ability, the dog cannot receive a Qualifying score and the handler must be informed that the dog cannot receive a Qualifying score. The Judges shall score the dogs on their natural abilities including Marking (memory), Style, Perseverance/courage/hunting, and to relatively greater degrees in Senior and Master Hunting Tests their Trainability as evidenced in steadiness, control, response and delivery. NOTE: Once the judge has determined the dog cannot pass the test (for example, the dog has an uncontrolled break in the first series and is not called back to the next series), the dog may not continue the test. The ability categories in a series must be graded on a scale of 0-10. In order to receive a qualifying score in Junior, Senior and Master Hunting Tests, a dog must acquire a minimum average of not less than 5 on each of the abilities listed on the evaluation form, with an overall average score of not less than 7. A dog graded zero (0) for the same ability by 2 judges cannot receive a qualifying score and the handler must be informed that the dog cannot receive a qualifying score. At the end of the first series in each category (Junior, Senior, Owner Handler Master and Master), and every series thereafter, the judges will call back all dogs which they wish to evaluate further, and will score them in additional hunting situations until the testing category has been concluded. The following are desirable traits of a true Hunting Retriever. They will be judged according to the Test standard, which will vary between each category. At the end of the first series in each category (Started, Seasoned and Finished), and every series thereafter, the judges will call back all dogs which they wish to evaluate further, and will score them in additional hunting situations until the testing category has been concluded. NOTE: At an HRC test, except in situations where there have been gun safety issues, dogs are usually permitted to run the entire test even if they are no longer under judgment and cannot receive a passing score. It is wise to use common sense when making the decision to continue – one does not want to undo a lot of training by allowing dogs to continue to make mistakes that cannot be corrected. Pheasants and/or ducks and/or chukars may be used, as may any other species of game bird that might be unique to a specific region. Clubs shall specify in the premium list the exact species of birds to be used in their hunting tests. A minimum of two live birds per entry must be made available for use at the discretion of the Judges in all test levels. At least one live flyer must be used in a Senior or Master level test unless the use of live ammunition is prohibited by law or policy of the land managing organization at the testing location. There is typically at least one live flyer at all testing levels. There are typically no live flyers at CKC tests. The hunting test must duplicate actual hunting conditions. Practical hunting distances must be used in all Hunting Retriever tests. Dead pheasants, pigeons, ducks or other game birds must be used for all hunting tests to gain Championship points. Shot flyers shall not be used in the Started class. Shot flyers are generally not used at any level except Upland. Handlers, judges, workers and other test participants shall be attired in dark or customary hunting attire that is appropriate for the hunting scenario. Handlers, judges, workers and other test participants shall be attired in dark or customary hunting attire which adequately reflects a waterfowling or upland hunting environment and provincially required blaze orange for the upland test where applicable. Judges, Hunt Marshals, Gunners, Bird Boys and Handlers must wear hunting clothes. Hunting clothes worn must be harmonious with the hunting environment, such as camo in waterfowl and dove hunting, white clothing if snow goose hunting. Gallery and spectators should not be in white or light colored attire that might interfere with the dog’s performance.